*This is a sponsored post on behalf of Campus Book Rentals. With summer coming to a close many teens and adults are heading back to college for the fall semester. As many people know the cost of college textbooks can be very expensive! I remember during my first semester of college I spent close to $600 on books alone but when I traded them back they had lost most of their value! That is why I wanted to tell our readers about Campus Book Rentals! 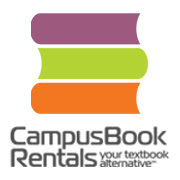 Campus Book Rentals is a book rental service that rents to over one million students across almost 6,000 college campuses. Textbooks often lose their value by the end of the course making it difficult to receive your purchase costs at buyback. 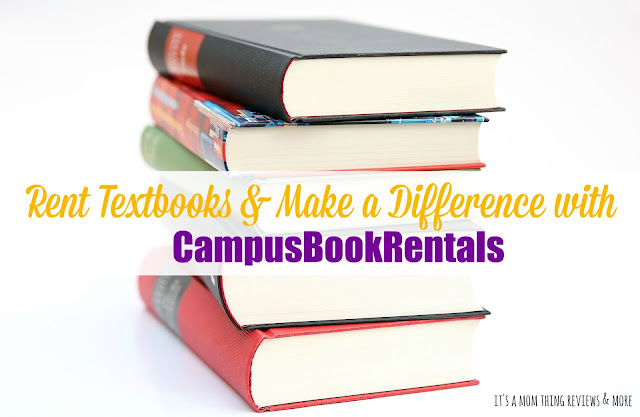 Renting from Campus Book Rentals guarantees that you get your money's worth from your textbooks. You also do not have to make frequent trips to the bookstore, you can just search for your books online and with one quick order you are ready for classes! This service saves you time and money! One of the greatest perks about renting textbooks from Campus Book Rentals is that with each textbook rented they make a donation to Operation Smile! While you are renting textbooks you are also making a difference! Operation Smile is an international medical charity whose network of medical volunteers help to improve the health and lives of children in more than 60 countries. They have provided more than 220,000 free surgeries for children born with cleft lip, cleft palate, and other facial deformities. You can learn more about Operation Smile on their website HERE! Visit the Campus Book Rentals website HERE!